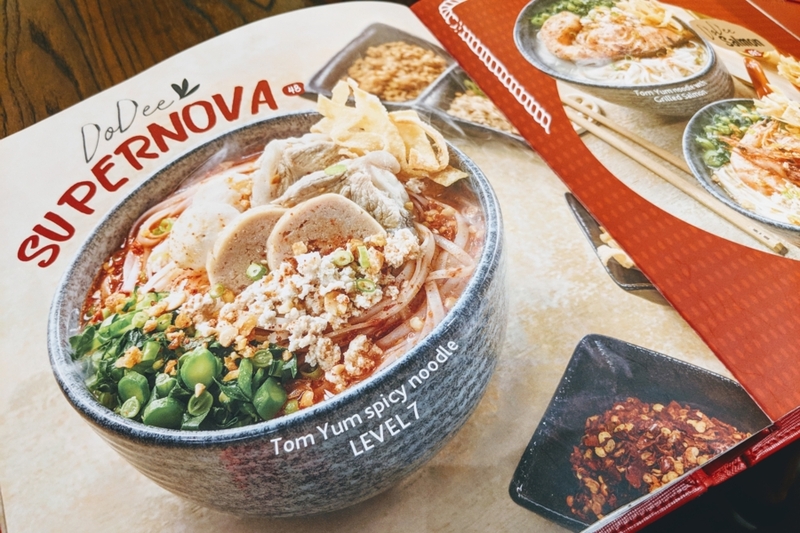 [Jakarta] The famous (and spiciest) Tom Yum Noodle from Sydney has finally arrived in Indonesia. 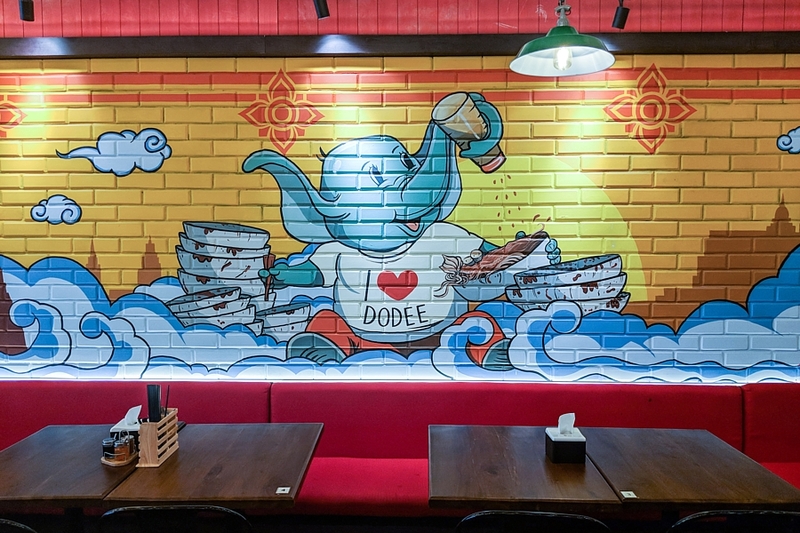 Welcome to Indonesia, Doodee Paidang (sometimes its spelt as “Doodee Paidang”). 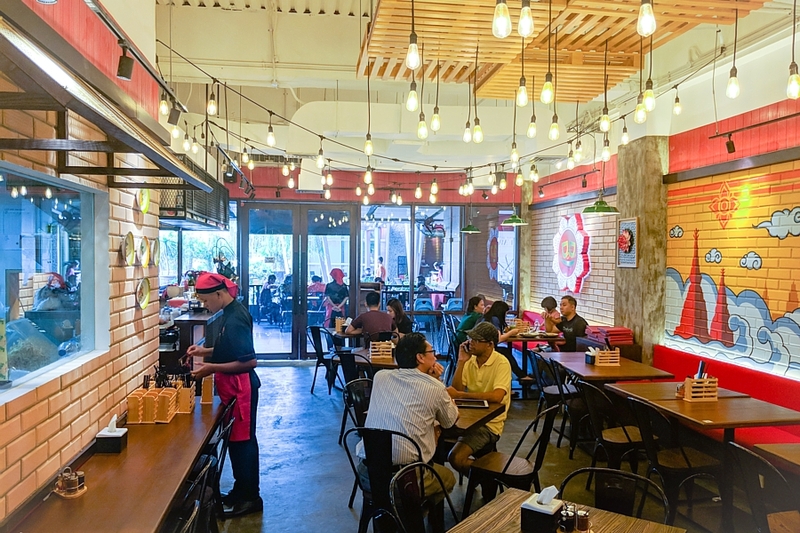 Its first outlet here is located in Mall Puri Indah, a famous neighborhood mall in West Jakarta. 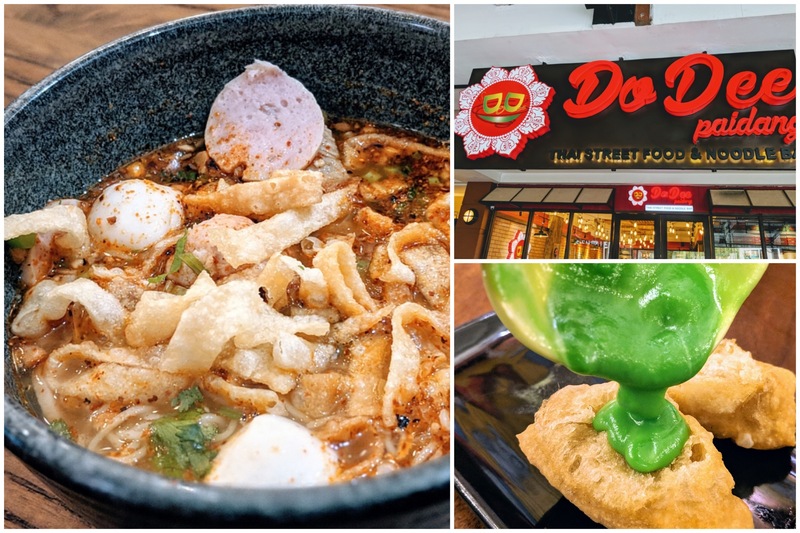 For those have who visited or lived in Sydney before, Dodee Paidang found at Haymarket Chinatown and Bondi Junction, should come up as one of the top recommended places to dine at for spicy food lovers. Funny thing is that when I was in Dodee Paidang Sydney, I noticed that more than 50% of the customers are Indonesians and Singaporeans. I guess we just love spicy foods, eh? There are 7 levels for the signature dish. Each level indicates half a tablespoon of chili powder, as the level progresses, the more chili powder and thicker the broth will be. First timers are recommended to try either Level 1 (Dodee Monster) or Level 2 (Dodee Devil). 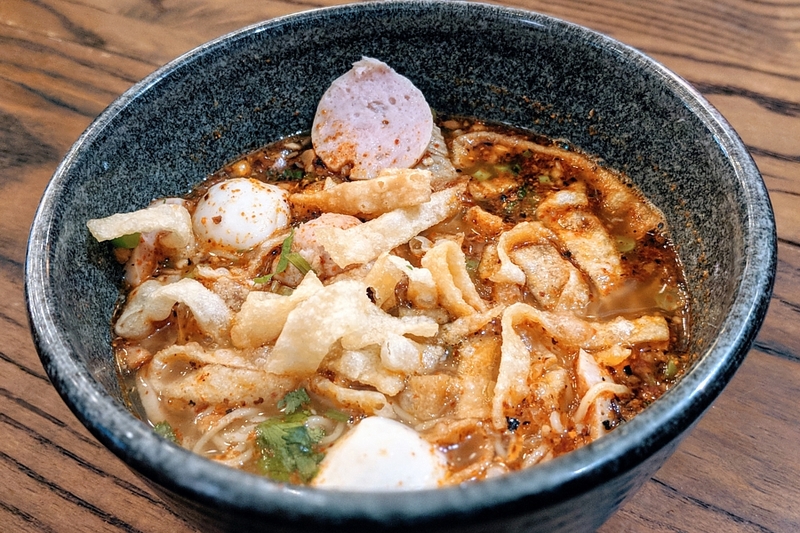 Ever since that Dodee Paidang visit in Sydney, I have been craving for them to open a franchise in Jakarta or Singapore at least, so I skip that long flight (and bus ride) just to taste their famous spicy Tom Yum Noodles. First up was the Moo Ping (IDR 55k for 3 sticks, SGD5.50), the Thai street food of grilled pork satay. I was impressed with the pretty generous portion, well marinated pork and tender texture. The condiments and sauce made everything more perfect. 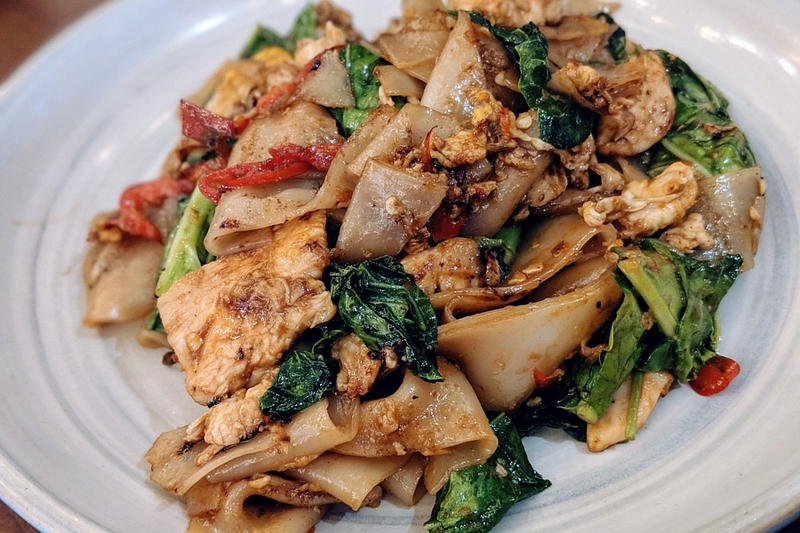 Also known as Drunken Noodle, Pad Kee Mow (IDR 45k, SGD 4.50) is the less famous cousin of ‘Pad See Ew’. Not many Thai eateries in Jakarta serve this dish though. I ordered an “extra spicy, and everything is on point. The dish had an alluring wok hei aroma, added with holy basil leaves for that aromatic oomph. 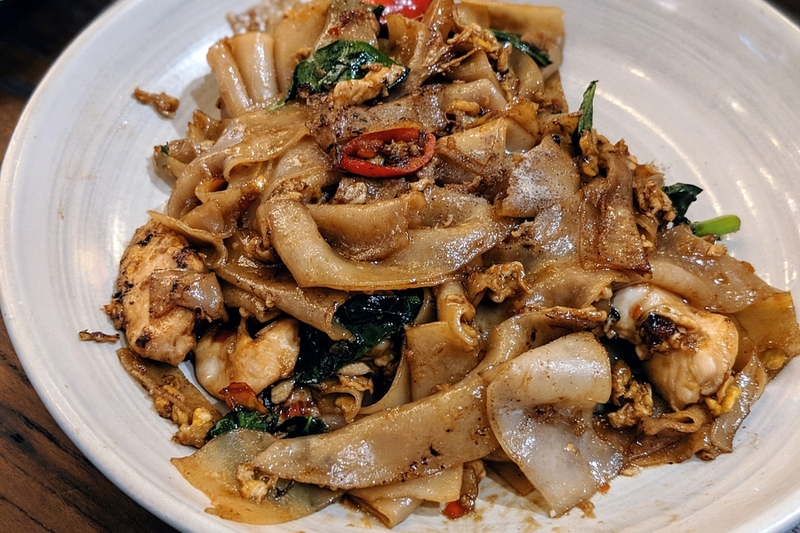 This is probably the best Pad Kee Mow in the city. Tried twice, didn’t disappoint. Honestly, I didn’t expect anything much from the Chicken Red Curry (IDR 55k, SGD 5.50) as this was not their specialty dish. I took a few spoonful of the curry gravy, and ended up impressed. The curry texture was just right, neither too gooey nor watery. Not to mention it was fragrant as well. Best to go with jasmine rice. 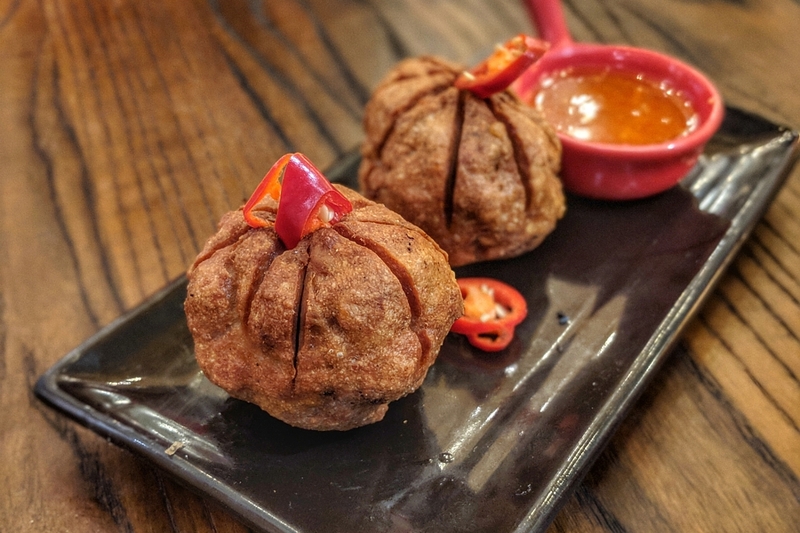 The Moo Jah (IDR 37k, SGD 3.70) of deep fried pork meatball mixed with prawns was just okay for me. I wished that that the meatballs could be crispier. 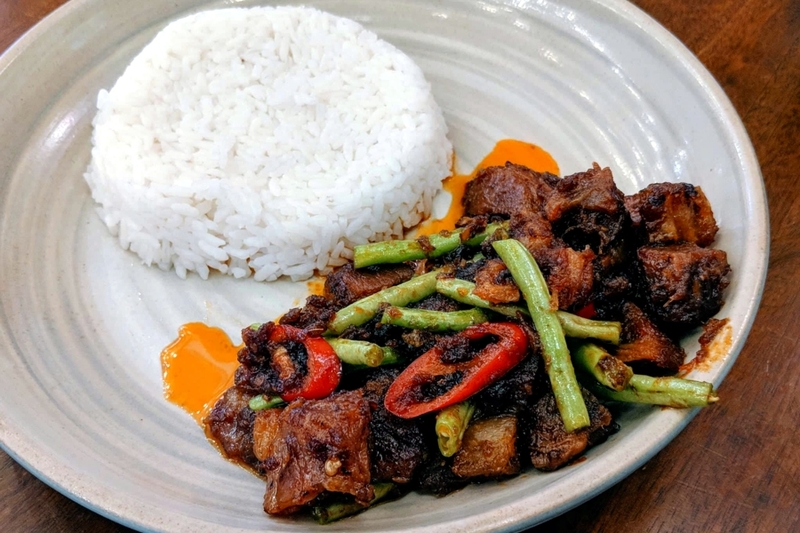 The Crispy Pork with Prik Khing (IDR 59, SGD5.90) of crispy pork belly stir fried with either oyster sauce or prik khing (red dried curry paste) served with rice and fried egg, is probably my all-time favourite Thailand dish. 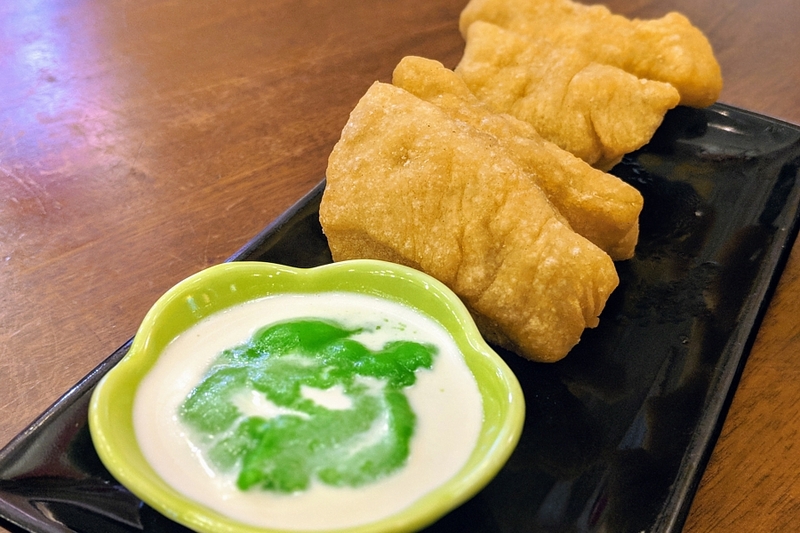 I have been searching this dish at numerous Thai eateries to no avail. Dodee managed to deliver the dish pretty well. 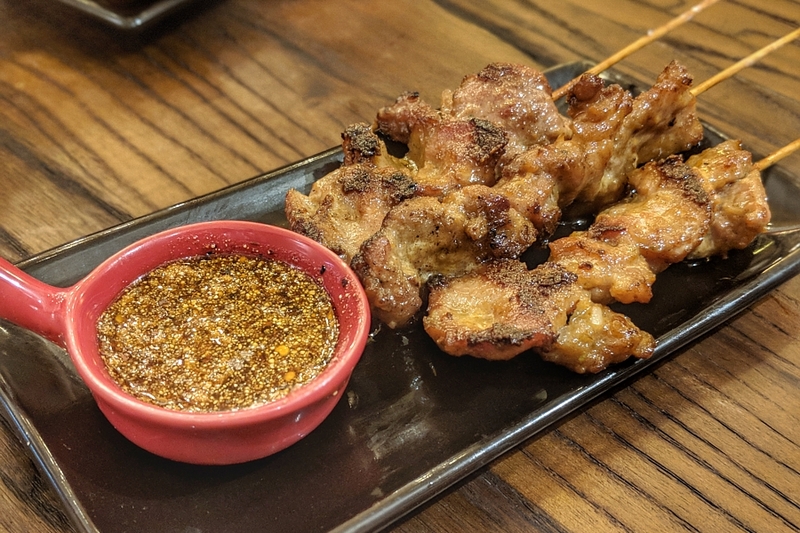 The pork belly was crispy, with the right amount of spiciness. Perhaps it was slightly sweet for me. Unfortunately, the signature dish of Level 5 Dodee Volcano (IDR 48k, SGD 4.80) was my least favourite. 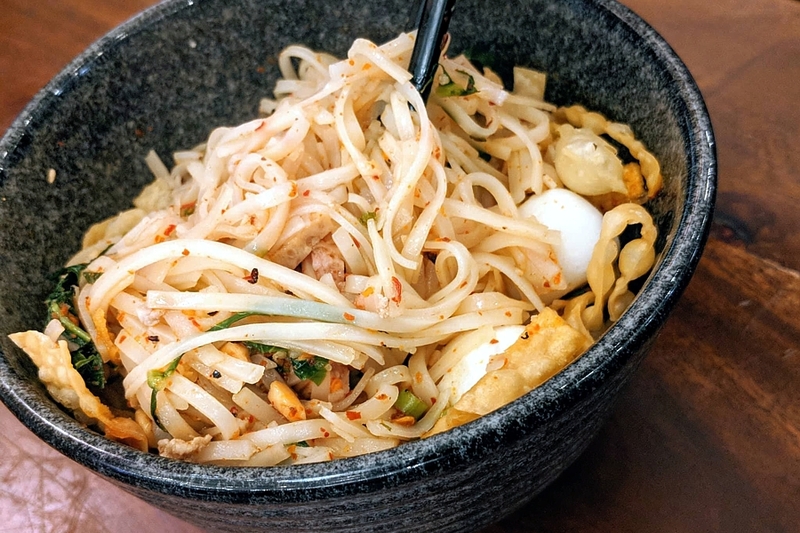 I was expecting the super thick, spicy noodle bowl similar to the version I had in its Sydney’s outlet. However the broth neither rich nor spicy, turned out to be less impressive, and the texture of the noodles was somehow not as enticing. 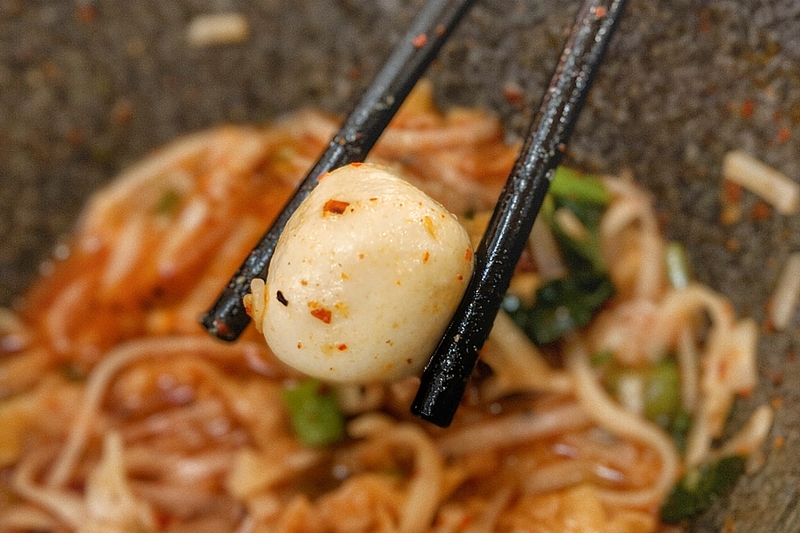 On top of that, the amount of soup was comparatively too little, thus making the dish look like dry noodles instead. Been back here three times and didn’t see any improvement to the amount of soup given. Well it was not that bad. 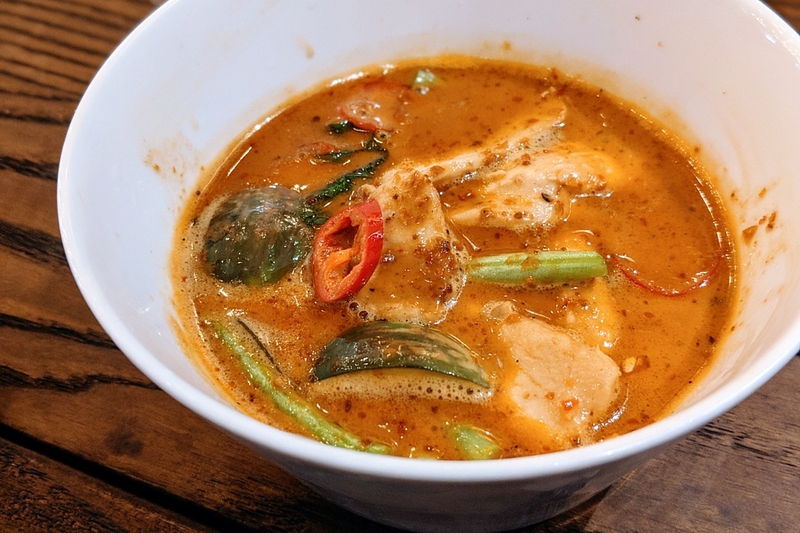 It was just lacking of that signature tom yum flavoured taste and spiciness of the chili. 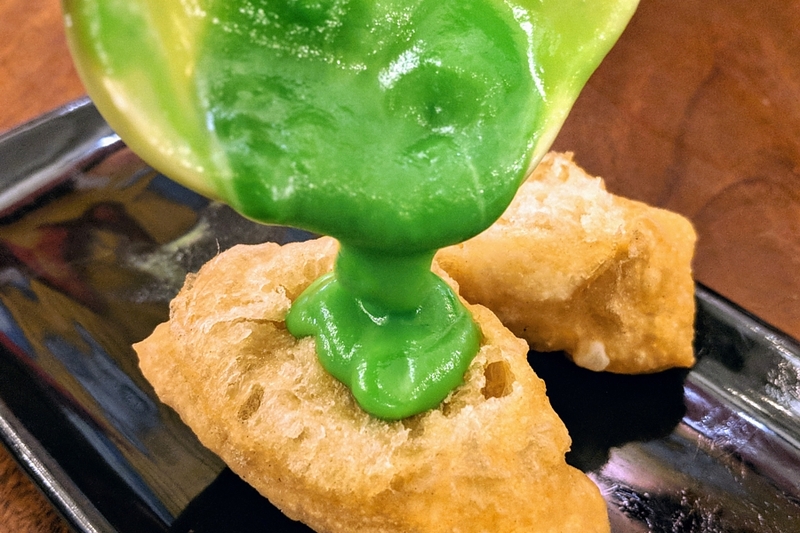 The Fried Bread with Pandan Custard (IDR 30k, SGD3.00) reminded me of “You tiao” or fried dough. 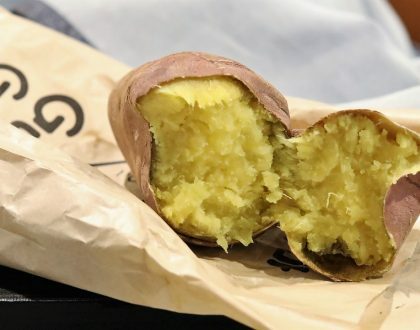 This dessert turned out to be pretty addictive. To beat those heaty and fried dishes, I ended up ordering their Pandan Water and Thai Ice Tea (IDR 20k, SGD2.00 each). 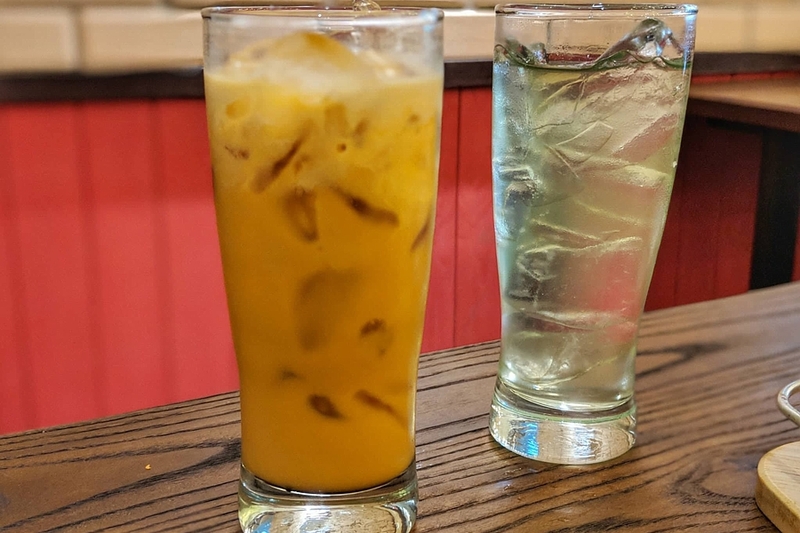 Loved that the Thai Ice Tea wasn’t too sweet (as compared to all others in Jakarta) and the Pandan Water was definitely a refreshing drink to feel ‘cleansed’ after the heavy meal. Other than the disappointing noodles which needed more soup, I still thought this was an enjoyable Thai meal. 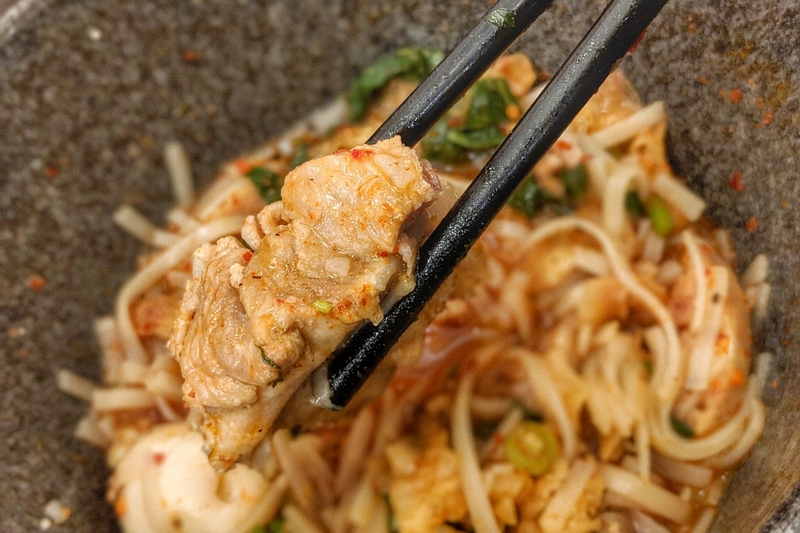 Their Pad Kee Mao and Crispy Pork are probably some of the best in the city. 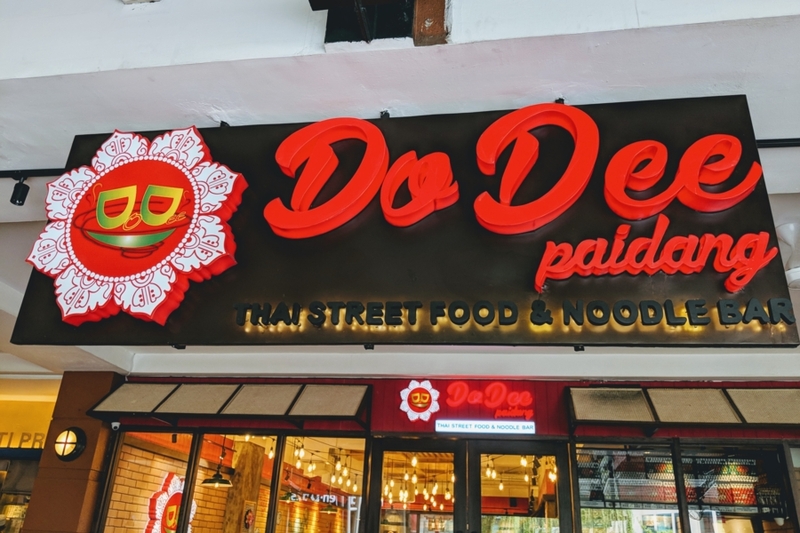 PS: Do you know that their original name is Dodee Paideng not Dodee Paidang? It was the letter “E” included in its logo branding.